* The Nest Easel is designed to nest together for ease of transport and compact storage. * Available with silver or black powder-coated steel frame, and a double-sided dry erase markerboard surface in either magnetic porcelain steel, or Dura-Rite HPL. 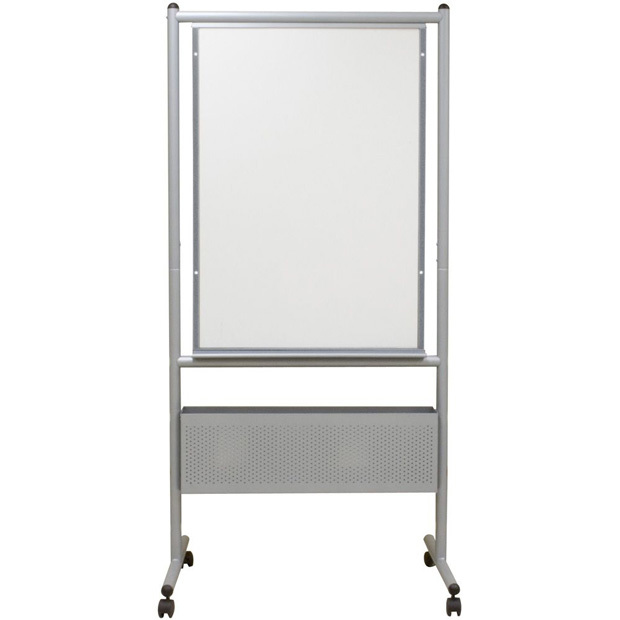 * Surface measures 40.75"H x 28.75"W.
* Easel features accessory trays and flip chart hooks on each side, as well as a perforated storage box that can be adjusted in height to accommodate a variety of items. * Unit sets at 65" or 72" high. * Base includes 2" locking casters.